My latest book Positive Linking: How Networks and Incentives Can Revolutionise the World is now available. The preface and first two chapters are available here. The book explores the limits of conventional economics and why it needs to embrace the power of the networks – through ‘positive linking’. Our social and economic worlds have been revolutionised. The Internet has transformed communications and for the first time in human history, more than half of us live in cities. We are increasingly aware of the choices, decisions, behaviours and opinions of other people. Network effects – the fact that a person can and often does decide to change his or her behaviour simply on the basis of copying what others do – pervade the modern world. The financial crisis has shown us that conventional economics is drastically limited by its failure to comprehend networks. As our societies become ever more dynamic and intertwined, network effects on every level are increasingly profound. To grapple successfully with the current financial crisis, businesses and politicians need to grasp the perils and possibilites of positive linking. 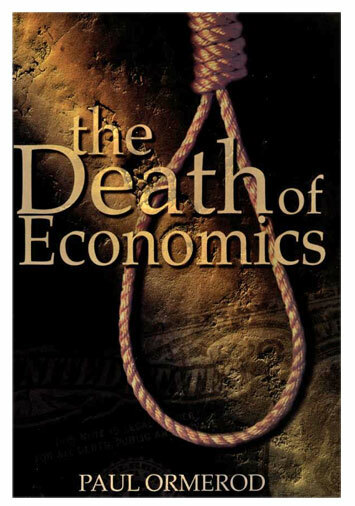 The Death of Economics came out in the UK in 1994. The book is an attack on a particular form of economics, which remains dominant in the teaching of the subject. It has been translated into many languages, including a cartoon strip version. Download the preface, first and fifth chapters. 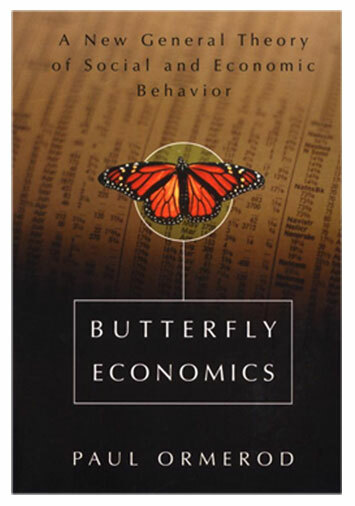 The next was Butterfly Economics, published in the UK in 1998 and which made the amazon.com, top 10 when it came out in the US in 2000, and received widespread coverage. You can download the Introduction, Preface and the first and second chapters. Then was Why Most Things Fail, published in the UK in 2005. It was a Business Week US Business Book of the year in 2006. You can download the Introduction, Preface and the first and second chapters. Read Nature magazine’s book review here.